Carl Gershman’s article as published in the World Affairs Journal on February 10, 2016. When President Obama and Raúl Castro announced, in December 2014, their intention to normalize relations between the United States and Cuba, the Cuban opposition leader Manuel Cuesta Morúa said that the opening represented “the end of the ‘epic’ stage and the beginning of the political stage for civil society” in his country. This, I think, was his way of signaling the importance of the change that had occurred and how it would affect the movement for democracy in Cuba. It signified a shift from a time when the only form of meaningful political expression was resistance to a totalitarian dictatorship to a new era in which more varied forms of struggle would be both possible and necessary. Since the opening, the US has been reluctant to use its leverage to try to pry open political space in Cuba, and the Castro regime has aggressively sought to secure greater legitimacy and economic advantages for Cuba without liberalizing politically or reducing its repression of Cuban dissidents. What needs to be emphasized at the outset, therefore, is that Cuba has not entered a period of democratic transition, and the current Cuban regime is nothing like the authoritarian military dictatorships in Chile, Brazil, and other Latin American countries that underwent a democratic transition during the 1980s. What distinguishes the Castro dictatorship from the old military regimes in Latin America is that it still has the features of what political scientists Steven Levitsky and Lucan Way call a “revolutionary regime,” meaning one that emerged out of “sustained, ideological, and violent struggle from below, and whose establishment is accompanied by mass mobilization and significant efforts to transform state structures and the existing social order. The normalization of US-Cuba relations was bound to happen eventually. But whether it’s the right call isn’t so certain with both sides making strong cases. Such regimes, they write, are strikingly resistant to democratization because they have destroyed all independent power centers, social institutions, and economic structures. (In Cuba’s case, Castroism also significantly weakened, even if it did not completely eliminate, the Catholic Church.) In addition, such regimes have strong ruling parties and cohesive mass organizations; they are resistant to coups because of the overlap between the ruling civilian and military elites; and they have powerful coercive structures that they don’t hesitate to use. Therefore, in evaluating the consequences of the Obama administration’s overtures to Castro, we have to start by recognizing that the Cuban regime is more deeply rooted than the Latin American military dictatorships of the past, and it does not allow the pluralism or have the internal divisions that had a lot to do with the successful democratic transitions in those countries three decades ago. There is one other additional feature that is different, and it is that Cuba—because of its revolutionary and anti-imperialist posturing—has not been subject to the same degree of international pressure that was put on the Pinochet dictatorship in Chile, for instance, or the apartheid regime in South Africa. Relatively speaking, the Cuban dictatorship has been given a free pass by the international community, as demonstrated by the international silence on human rights violations it has regularly committed and the fact that despite these abuses, and its support of Soviet imperialism in the past and North Korean totalitarianism today, Havana has nonetheless been allowed to play a leading role in UN bodies, the nonaligned movement, and other international structures. Yet the Cuban regime also has some very powerful vulnerabilities. Chief among these are its proximity to the United States and the many cultural affinities between our two countries—music and baseball being just two of the most obvious. The stronger these ties, the greater the internal pressures will be for freedom and democratic normalcy in Cuba. Levitsky and Way also write that a less confrontational international context can undermine the cohesion of a revolutionary dictatorship, which explains why the Castro regime has stepped up repression in the period since the opening with the United States. The number of political arrests in the first nine months of 2015 was 5,146, well over twice the number of arrests recorded in all of 2010. There were 882 arrests in September alone. Again, this does not indicate a strong regime but a vulnerable one. There is also the additional factor of what we might call the inevitable erosion of totalitarianism, which affects even revolutionary totalitarian regimes. Totalitarian erosion is not the same thing as liberalization, but it does lead to more space for people at the bottom and less control from the top. In this regard, Cuba today shares some of the features that we saw in the Central European Communist dictatorships in the period before 1989. These include a limited increase in economic and cultural pluralism, even in the absence of political pluralism; a significant weakening of the regime’s political legitimacy as a result of its economic failures and ideological exhaustion, even as it continues to mouth the old revolutionary rhetoric; a decrease in the internal cohesion and member loyalty of state-run mass organizations of youth, workers, and intellectuals; and the replacement of charismatic leaders by technocrats, even if the old leaders have not yet finally passed from the scene. The Polish philosopher Leszek Kolakowski prophetically called attention to the importance of such developments in 1987, noting that they opened new possibilities for change in Poland and other Central European countries, even if they had not yet altered the core principle of totalitarian systems, which is the monopoly of political power by an unaccountable Communist Party dictatorship. For the last few years, Cuba has followed this pattern, as a result of which the Cuban democracy movement has been able to establish what Kolakowski called “enclaves of civil society” within the totalitarian system, just as the Polish movement had succeeded in doing in the decade before the fall of Communism. I think the regime sees two possible models for accomplishing this. One is the China-Vietnam model of introducing economic liberalization while maintaining the Communist system of control. The second is a hybrid regime of the kind sometimes called “competitive authoritarianism.” (Vladimir Putin a few years back called it “managed democracy,” and Venezuelan strongman Hugo Chávez called it “Bolivarian democracy.”) This model permits a charade of formal democratic features, such as fraudulent elections, a few compliant NGOs, and some very limited independent media. But the regime’s power and control are not seriously challenged. The second option, with all its cosmetic changes, involves more risks since the opposition can try to take advantage of even very small openings. Yet the fact that Raúl Castro has announced that he will step down in 2018, and that the regime is planning to amend the electoral law as part of a process to install younger leaders through an election, suggests that the regime has opted for the hybrid model. The young leaders they have in mind, it seems, include Raúl’s son, the intelligence chief Alejandro Castro Espín, and his son-in-law General Luis Alberto Rodriguez, who runs the business administration branch of the army that controls 80 percent of the Cuban economy. Though the regime has no intention of allowing a genuine opening or relinquishing power, I think it has nonetheless started a process that cannot escape the logic of democratic transition, even if the conditions for a real transition are not yet present. The approach that Cuesta Morúa and other Cuban dissidents have adopted is consistent with the established principles that have guided real transitions to democracy in Eastern Europe and elsewhere in the “post-totalitarian” era. The first is that existing coalitions and opposition groups in Cuba should, without necessarily merging, work together based on common goals. We all know that there are different tendencies within the opposition movement in Cuba—the sort of differences that exist in every opposition movement fighting for democracy in a dictatorial country. (In Franco’s Spain, for instance, some dissidents wanted to reform the system, while others wanted a complete rupture with it.) The point is that the opposition, while not uniform, should still try to preserve unity, which in any case is much more important than uniformity. Diversity is a strength. The second principle, which flows from the first, is that it is important to welcome and support different opposition strategies for advancing democracy. One never knows what will be the catalyst provoking a breakthrough or significant change, and it’s important to keep the options open in the democratization struggle. The third principle is to acknowledge that even though many democracy activists may be unhappy with the policies of the United States and other governments toward Cuba, they should not allow themselves to become isolated internationally, but should continue to reach out to potential allies abroad and try to build ties of dialogue and cooperation. The fourth principle is that the Cuban democracy movement should pursue the politics of the possible as the best way to move toward the politics of what is desirable. This means recognizing the inevitability of gradualism, the necessity for pragmatism, and the need to take advantage of opportunities when they present themselves. Being pragmatic does not mean that there is not also the need for mobilization and resistance. As is the case with every movement for democracy, there is the need for both militancy and conciliation. Struggle and organization will be needed to open the way for possible negotiations at some point and a real transition. The fifth principle is that since change in Cuba must necessarily come from within, supporters of the Cuban movement outside the island need to connect with the Cuban people by supporting authentic indigenous initiatives for democratic change. All these principles make sense, in my view, and I want to add just some of my own. One is that the United States and other democratic governments should not accept a hybrid regime in Cuba as an acceptable alternative to dictatorship. Competitive authoritarianism is arguably marginally better than full-blown dictatorship, but it’s not democracy, and if democratic leaders in the United States, Europe, and Latin America appear to embrace it, they’re going to betray the Cuban people and undermine the moral and political case for democracy. A second is that we must do everything we can to end the free pass on human rights that the Cuban dictatorship has enjoyed until now. Ironically, even if one takes a dim view of the process to date of normalization of relations between Cuba and the US, this development may actually make it easier to mobilize support for democracy in Cuba since Castro apologists will now find it harder to blame the United States for all of Cuba’s problems. The third principle is to insist upon the observance of democratic norms and to oppose any attempt to apply a double standard to Cuba. If the regime actually does amend its electoral law in preparation for an election after Castro steps down in 2018, then we should insist that it be a real election that is consistent with international norms. That means elections that are free and fair, with the opposition being able to organize and campaign, with a level playing field, and with the whole process monitored by international observers. And finally, we must help the opposition strengthen its international stature and relationships. There needs to be a growing body of support in Latin America for a real transition in Cuba, and the Cuban democratic movement must have a voice in the process of establishing a new relationship between Cuba and the European Union. Obviously, it is also essential that the United States do much more to support the struggle in Cuba for democracy, human rights, and the rule of law. Six years ago, when I presented the Cuban Democratic Directorate’s Pedro Luis Boitel Freedom Award, in absentia, to the imprisoned Cuban dissident Iván Hernández Carrillo, I contrasted Boitel and Che Guevara, the emblematic representatives of the two contradictory tendencies within the revolutionary movement. Boitel represented the movement’s democratic aspirations, for which he was imprisoned and gave his life. And Guevara was the leader of the hard-line, pro-Soviet faction that imposed a harsh totalitarian system on the Cuban people. At the time I asked the following question, which is especially relevant today: “Between Boitel and Che, who will ultimately win—the democratic martyr whose unmarked grave has become a shrine for Cuban dissidents, or the murderous cult figure whose image adorns countless T-shirts?” Fidel Castro once famously declared that “History will absolve me.” But history has now bypassed Castro, and I think that, in the end, it is Boitel whom history will absolve. For that to happen, though, the opposition will have to learn how to supplement courage and implacable resistance to oppression with strategic thinking and political organization, something it is already beginning to do. Despite all the difficulties, I think that the conditions are favorable for their struggle. Their cause is just, and they are up against a regime that has lost whatever raison d’être it may once have had, is deeply corrupt, and now appears ideologically bankrupt to its own people and, increasingly, to people outside. Because of the exaggerated and perverse role that Cuba has played in international politics for more than half a century, a democratic breakthrough in Cuba will not only liberate the Cuban people but will give new momentum to the movement to strengthen and expand democracy in the world. The Cuban struggle for democracy has entered a new and fateful period with the normalization of relations between Cuba and the United States. 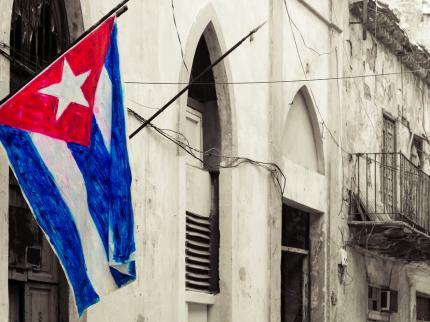 Now it’s time for the Cuban government to normalize relations with its own people. The Cuban people should not be alone in fighting for this goal. They need and deserve the solidarity of democrats everywhere. Carl Gershman is the president of the National Endowment for Democracy. This article is adapted from an address delivered on October 22, 2015, to the conference celebrating the 25th anniversary of the Cuban Democratic Directorate.